WelCom June 2017: A Day of Prayer for Refugees and Migrants is set aside each year by the New Zealand Catholic Bishops Conference to fall as close as possible to World Refugee Day on 20 June. This year, the prayer day is on Sunday, 18 June. In the Northern Hemisphere the world prayer day for refugees and migrants is in January. 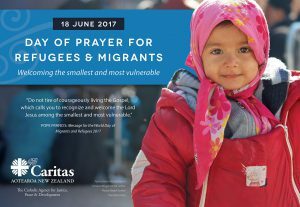 In New Zealand, we align our day of prayer to be the Sunday closest to the UN day in June as January is not an ideal time to bring attention to the critical issue of refugees and migrants because of our southern hemisphere summer. Pope Francis’s theme for the 103rd World Day of Migrants and Refugees is ‘Minor migrants, vulnerable and voiceless’. 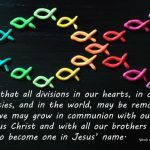 As followers of Christ, we are called to reach out to and pray for all migrants to emphasise the unity of the human family and the values of acceptance, hospitality and love of neighbour. 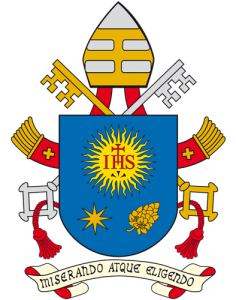 Visit the Vatican website – tinyurl.com/PopeFrancisRefugeeMessage –to read His Holiness’ message. 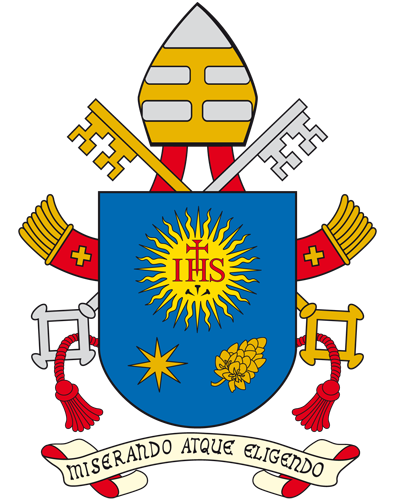 The Coat of Arms of Pope Francis: Miserando atque eligendo – ‘by having mercy, by choosing him. Since February 2016 Catholic and Anglican Dioceses of Wellington have set up 116 homes for former refugee families resettling in Wellington. Their work continues this year. Here is the story of one family who have successfully immersed themselves into Kiwi way of life. Fearing for their future due, to violent wars and persecution, Mohamad Morad, his wife Imane, his mother Gazala and sons Diaa and Ahmed, crossed the border from Syria into Lebanon seeking refuge. 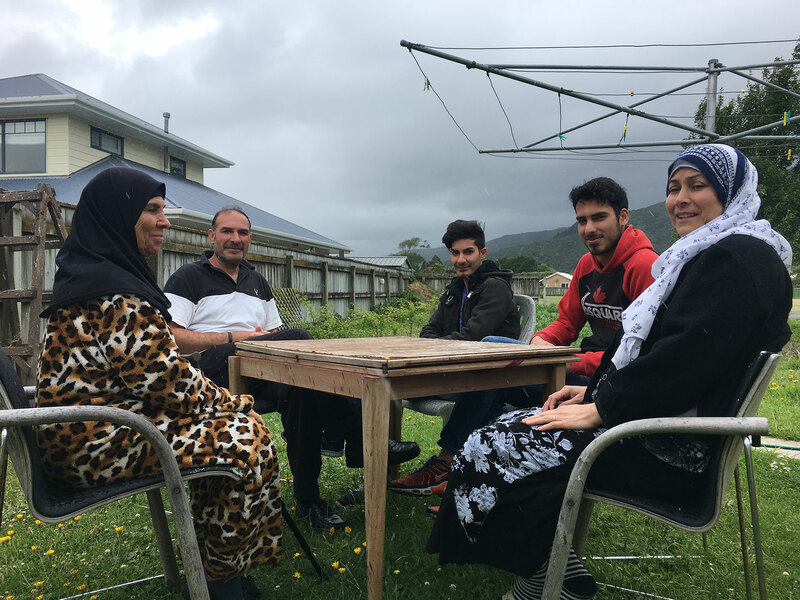 In March 2016, as refugees, Mohamad and Imane applied for resettlement and were accepted into New Zealand. A year later Imane says, ‘We feel settled in New Zealand and my children are continuing their study, which is the most important thing’. Eldest son Diaa has enrolled in university for a career in medicine and their youngest son Ahmed is thriving at school. Mohamad and Imane are taking classes daily to improve their English. Imane said, ‘Our favourite thing about New Zealand is the safety – no matter how long the night or day, we know we are safe and nothing scares us’. 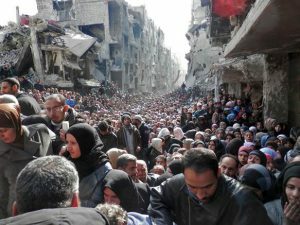 New Zealand welcomes about 750 refugees every year, with 600 additional places for Syrian refugees over a two-year period from 2016 to 2018. Charlotte Jakicevich is a Challenge 2000 gap year student working on placement with Wellington Catholic Social Services. Palmerston North is one of the six resettlement areas for former refugees making their new home in New Zealand. The other areas are Auckland, Hamilton, Wellington, Nelson and Dunedin. The biggest challenge from my experience in working with former refugees is the language and the isolation. Most families do not have any family members here when they come. That is why it is important to support the Manawatu Reuniting Refugees Families Trust, which is a new trust for this area. The other bigger areas have similar Trusts that have been operating for a while. Antoinette Umugwaneza, originally from Rwanda, works for the Red Cross in Palmerston North. The Manawatu Reuniting Refugee Family Trust is a charitable trust. 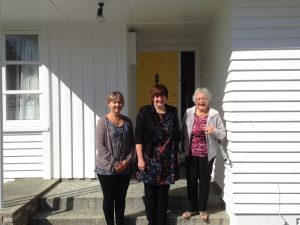 It was set up in 2016 to help with financial assistance for former refugees living in the central North Island to bring close family members to New Zealand. Palmerston North – and the wider Manawatu – has been a resettlement area for ‘quota’ refugees since 2006. Families have come from as far apart as the Republic of Congo, Burma, Bhutan and Afghanistan. Sometimes these families have been separated by conflict – a distressing experience. If family members are later located, they can be reunited with their loved ones here in New Zealand. The cost of the process can be many thousands of dollars and the families here must meet all the expenses, including medicals, police certificates and airfares. The Trust raises funds to help with this process and allocates them to families according to their needs. Since October last year we have committed funds to help reunite three families. 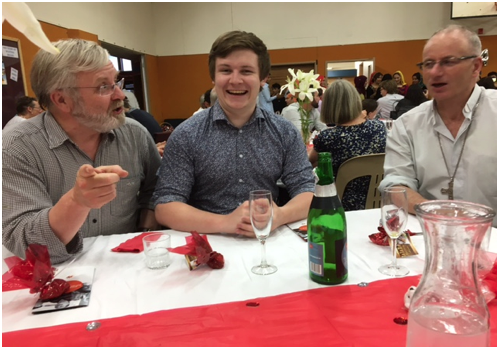 Fundraising has come from church groups, applications to trust funds, school mufti days, individual donations and a successful joint fundraising dinner with the Red Cross team in Palmerston North. With the help of the Afghani community we organised a fundraising Valentine’s Day dinner, with an Afghan theme. There was so much interest that all 150 tickets were sold. The cooks, kitchen staff and waiters all wore traditional costumes, which added to the beautiful quality of an enjoyable evening for everyone. The Wellington-based Refugee Family Reunification Trust has been helping refugees for more than 16 years. The charitable trust has approved nearly 500 applications for assistance from former refugees living in Wellington needing help with the cost of bringing their families from overseas to join them. Some 220 families have been reunited, including paying the airfares to Wellington for around 625 family members, many of whom were children and young people. Since it was established, the Trust has raised more than $1,570,000. ‘We are particularly proud of this achievement, as not a single dollar of donations has been used to generate this income,’ says Amanda. 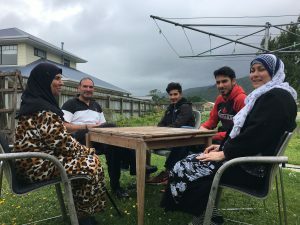 The housing shortage across New Zealand is affecting new refugee families arriving in Wellington. A number of families are in overcrowded situations, and struggling to navigate our complex system for finding suitable housing. The Trust works closely with partner agencies to identify suitable housing options for refugees. One success story is the model housing project between Dwell Housing Trust and the Sisters of Compassion, which the Reunification Trust supports on a non-financial basis. A flat in Island Bay provides transitional housing for former refugee families resettling here. Since this started in 2012, six families arriving in Wellington have been helped, including families originally from Somalia, Afghanistan, and Eritrea. St Joseph’s, Mt Victoria, has supported two refugee families – from Rwanda and Eritrea – with low-rent housing in a parish property. The Sisters of St Joseph have been working on a similar project to provide a home. They have fully refurbished and furnished a four-bedroom house in Miramar – formerly used by the Sisters – for a refugee family to live in. 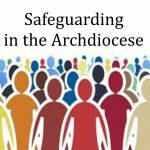 The Sisters of St Joseph decided to offer our house in Miramar to a refugee family, and contacted Amanda Calder to see if we could assist her Trust in some way. She said because the house was free-standing and roomy it would be ideal for the large refugee family of 10 she was trying to get reunited with their parents and grandparents already settled in Wellington. The family had been living in a refugee camp in Kenya for more than 16 years in desperate circumstances. With significant financial assistance from the sisters of the Little Company of Mary we refurbished the house and furnished it with donated goods from Wellington Catholic Social Services and from the Sisters of St Joseph around the country. We have entered into a partnership with the Dwell Housing Trust and pay them to provide the management and maintenance of the house. We are delighted to see this family settled in at last, and will continue to provide what assistance we can especially in pastoral care. The Little Company of Mary are continuing to provide financial support. Caritas New Zealand Aotearoa have witnessing the continuing crisis in Syria and the impact of drought and civil war in South Sudan that has led to the displacement of over 1.5 million people. In his message for the 2017 World Day of Migrants and Refugees, Pope Francis reminds us to consider child migrants and the vulnerable and voiceless. 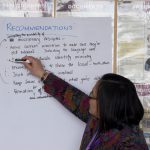 ChangeMakers Wellington has been running a women’s driving programme called ‘Turning the Curve’ for former refugees for four years. The programme is also run in Palmerston North. The idea came from a women’s steering group who were feeling isolated and unable to fully engage with their families in New Zealand life. Changemakers works with Multicultural Learning & Support Services in Wellington to identify people who should join the programme. MCLaSS runs free English classes to help former refugees to learn the road code. Visit crf.org.nz and mclass.org.nz for more information. There are more than 800 asylum seekers and refugees at Manus Island detention centre, Papua New Guinea. Australia’s St Vincent de Paul Society is calling on its government to resettle them in Australia. The government is closing the PNG centre soon. SVdP said it is now a matter of upmost urgency as no other option is available to these detainees. It is well known that refugees who have already tried settling into the PNG community have found it too hard or too dangerous and that returning to their place of origin is likely to result in persecution or harm. In line with criticism by UNHCR, SVdP is particularly critical of forced deportations occurring without an appropriate review. All he expected was a quiet life, one day following another. no upheavals, staying in his home place. and beauty, its infinite variety. Four times his dreams disturbed him. Four times a message changed his life. coping with visitors, strangers from afar. the casual slaughter of the sucklings. but always, always trusting in the Lord.